This sweeping New York Times bestseller is “the most thorough and most captivating, most engrossing novel ever written about World War II” (Los Angeles Times). Epic in scope, Marge Piercy’s sweeping novel encompasses the wide range of people and places marked by the Second World War. Each of her ten narrators has a unique and compelling story that powerfully depicts his or her personality, desires, and fears. Special attention is given to the women of the war effort, like Bernice, who rebels against her domineering father to become a fighter pilot, and Naomi, a Parisian Jew sent to live with relatives in Detroit, whose twin sister, Jacqueline—still in France—joins the resistance against Nazi rule. 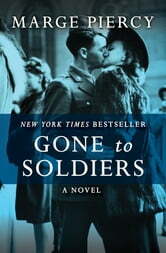 The horrors of the concentration camps; the heroism of soldiers on the beaches of Okinawa, the skies above London, and the seas of the Mediterranean; the brilliance of code breakers; and the resilience of families waiting for the return of sons, brothers, and fathers are all conveyed through powerful, poignant prose that resonates beyond the page. 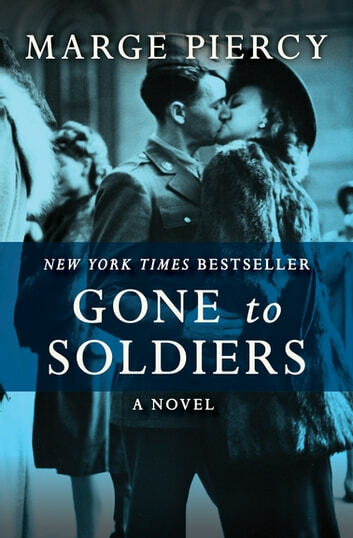 Gone to Soldiers is a testament to the ordinary people, with their flaws and inner strife, who rose to defend liberty during the most extraordinary times. One of my favourite reads. She really captures the essence of all the characters. I never wanted it to end. This is a skillfully drawn narrative, stretching across continents and connecting characters within a common theme. Insight into other services that led to winning the war, as well as the impact of peace, make this a must read. Great story line, finely executed characters. I thoroughly enjoyed this excellent book. I had forgotten how much I love Marge Piercy's writing!